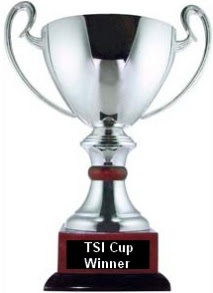 The season started out very well with TSI making a strong bid for first and a trophy. As the record and points indicate, the race was close. Four competitors took first in their respective Group/Division and are promoting. Dynamo and Knife Island both are moving on to D3 with the knowledge that they are going to have a team well equipped to handle the rigors of the division. Crossfire will be returning to D4.1 and Sonic City will get their first taste of the D4 life when they start the new season next week. That said, Indy Force built on last season's dramatic turnaround to put in yet another strong showing. That means a mind boggling 11 competitors have promoted to D4 and 3 more have promoted to D3 in the course of three seasons! It is no surprise that the TSI Cup winner, Knife Island, also won promotion to D3 at the end of the season. While we'd like to think that it was our tourney that allowed him to refine his formation, it was strong all around play from several of his players that put him over the top. While Knife's retiree, Tejera, was the team's leading scorer, strong all around play from his team was the determining factor in his win. With a dominating 7-2-2 record and an +11 goal differential, Knife waltzed into the last game needing only a draw to hoist the Cup. From the start, his team came out swinging on TSI, their final game opponents. Knife Island outshot the Insiders 17-3 and the scoreline reflected that lopsided stat. They walked out winners in the 4-1 blowout. MoM winner Peter Herrick put in a goal before settling into a more defensive role to protect the then 2-0 lead. It was in the waning minutes that old man Zajec for the Insiders directed a free kick past "Mack" Shelton to save some embarrassment for TSI. 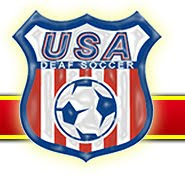 Post game, Knife Island FC manager Randy Capps had this to say, "It was a great competition. the Insiders were certainly tough competitors. We got the bounces and stuck with our plan of dominating possession and finishing against their overwhelmed back line. In the end, it comes down to scoring goals and we did it. Ruthlessly. I'd like to thank all the other teams that made this a good experience for my squad. I got a few looks at some younger players and "Mack" Shelton was certainly good enough to win the Golden Gloves award. Indy's Qiu HuiSheng was a beast between the pipes and I can't believe "Mack" edged him out for the award. That said, we'd like to thank him for making the award that much more meaningful for us." 6 A. True Dynamo Mos. 6 B. Hill Indy Force. 4 A. True Dynamo Mos. 4 N. Ganea Dynamo Mos. 4 P. Herrick Knife Isla. 5 Q. HuiSheng Indy Force. 3 P. Maitland Honolulu T.
While we regret losing Dynamo Moscow and Knife Island to D3 promotion and Sonic City and Crossfire to the Ohio Valley Cup next season which conflicts with the TSI Cup, we wish them all well in their endevors and hope to see them again in S.24 when we expect to finally promote to D4 and whereupon we'll expand the Cup to Divisions 3 and 4. Hopefully, we will see each of the remaining teams return for the 4th Annual TSI Cup, as this past one was definitely fun. Currently, we have space for 3 new teams to join the Cup for next season, with current confirmations from perennial powerhouse Indy Force United, Honolulu Toon Army, and TSI returning as well as being joined by D4 newcomers Phalcons.